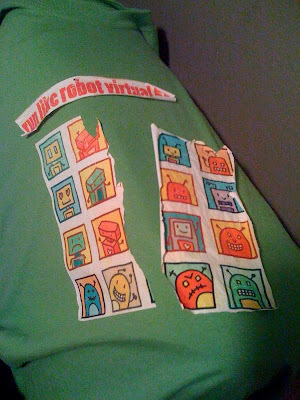 Today is the day to run like a robot if you are participating! (I swear I tell him NOT to do laundry. He washed it on Max Extract (which is a fun name for a laundry setting) and didn't turn it inside out. I washed mine (which is like Shannon's above; transparent background) and it came out fine. I am partial to the shirts with the white background myself so I am HOPING they don't all do that or I will cry. 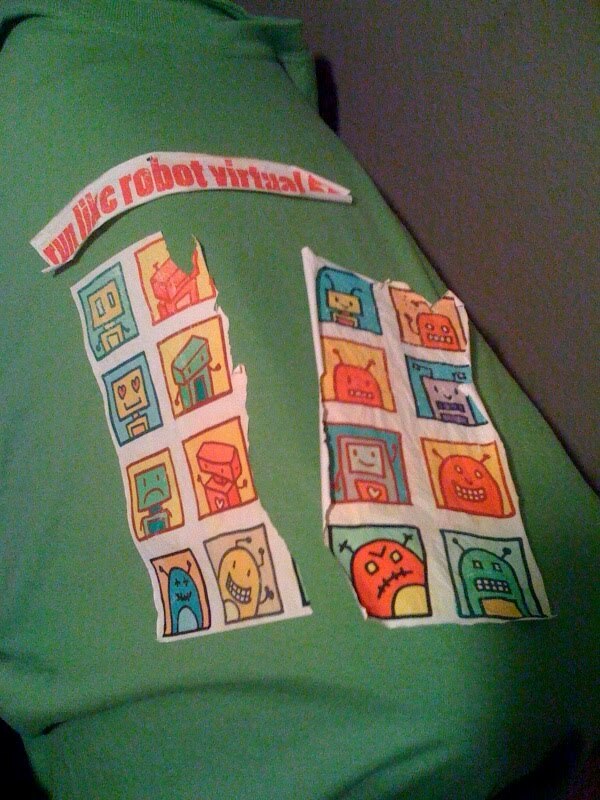 I used the exact same materials that I made the Linda and Libby 10K shirts with and I've washed that shirt thousands of times with no ill effect, but apparently maybe not true for the robot shirts? Sad and apologies if it happens to yours! Next time, we'll have shirts printed. Like at a printer. Get out there and RUN! It's 101 degrees here - what are you complaining about!?! Holy 101 degrees, crazypants!! Proud of you and also think this is kinda hilariously awesome. XOXO! Can't wait to hear all the deets. I enjoyed runnin' like a robot. I think I shall run in this fashion for all my future races. i would like to participate in the next one, i hope its soon (or maybe when it isnt hot as hell outside) i need some motivation and i think this might be something for me! let me know!